Tommy and Coop are super excited. They love to prank and now they get to do it somewhere they haven’t had the chance to, and it is a place that will take pranking to a whole other level. The twins are going on their first school camp. They plan on making this the best camp ever. But what happens when they aren’t the only ones pranking? A fun addition to this series. With it’s story lines filled with silliness and humour and the accompanying black and white illustrations, this series is full of appeal. It is particularly nice in this one to see Tommy and Coop on the receiving end of a prank. An easy read with plenty of laughs for a reader that might find books boring. Tommy and Coop are sure the class excursion is going to be boring. How can it be anything else when they are going to the museum. They try some pranks to make themselves late. Unfortunately for them they still have to go. Boring. Maybe some pranks will help them feel better. Then they discover the robotic dinosaurs. Now they can really have some fun. This series is a lot of silliness and for some kids just the thing to get them reading. 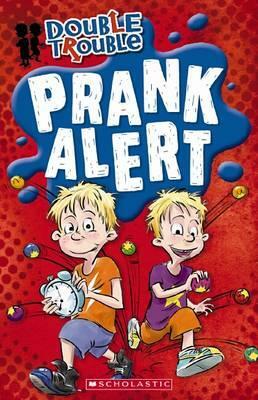 Fortunately for parents a lot of their pranks revolve around gadgets so it won’t be giving kids too many ideas. 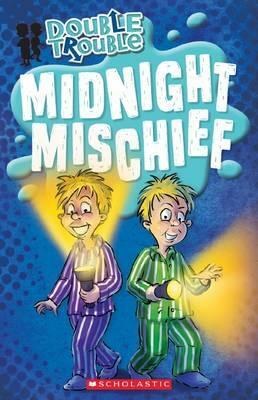 The text is simple and engaging, Tommy and Coop are the right amount of mischievous, not tipping over to malicious. A good little read. I was sent this by the publisher. Tommy and Coop are twins who’s favourite thing to do is to pull pranks on people. They love pranking their parents, though it may sometimes have consequences they don’t like. They also love to prank at school, and this time they end up having to stay back afterwards to help clean up, but this just gives them an idea for another prank. This is a fun story that will appeal to many young readers. The text is simple to understand, and the story moves at a good pace. The illustrations are just as fun as the story. 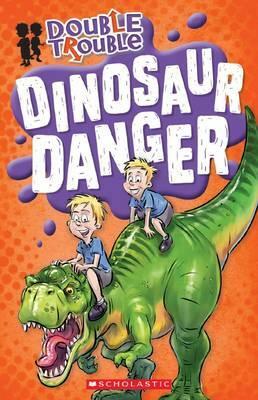 This is a good choice for young readers looking at getting into chapter books though the chapters come in around 10 pages so they are longer than some. Lottie and Mia are twins, but in some ways they are very different, that doesn’t make their bond less strong. In fact Lottie and Mia have a secret when they whisper a secret charm the twins get super powers. They need them this day at school when the new kid Max starts to do things that make him seem like a big bully. This is a very sweet story with a good heart. Lots of colourful, fun pictures complement the text, which is simple to read. 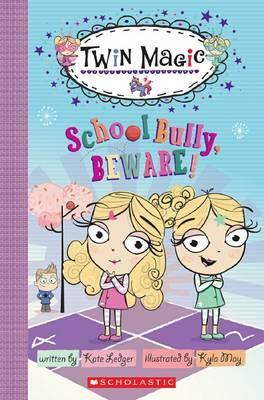 This is a great choice for beginning readers who will enjoy the story of twins with superpowers and find something to talk about with adults regarding the bully part of the story. Paris suffered some serious destruction at the hands of Dr John Dee, who released the Nidhogg in a desperate attempt to get rid of Nicolas Flamel, the twins Sophie and Josh and retrieve the last two pages f the Codex. However Josh killed the Nidhogg and was finally awakened, and now the trio are in London searching for the oldest immortal, the King Gilgamesh. Nicolas hopes the King can train the twins in the mastery of water magic. FInding him is only part of the problem though as it turns out the Gilgamesh is quite mad. Added to that, London is Dr John Dee’s home ground and that is an advantage he plans on using every inch of. The trio aren’t completely helpless. Nicholas still has some contacts and Josh is carrying Clarent, the sister sword to Excalibur, and it is a blade with a power that makes it almost impossible for it to be used without darkness bleeding into the wielder’s soul. Meanwhile Perenelle is no longer a prisoner, now roaming free on the island of Alcatraz. As long as she can stay that way she is working on a plan to get her off the island and back to Nicholas and the twins. This battle is taking it’s toll and it is nowhere near over. 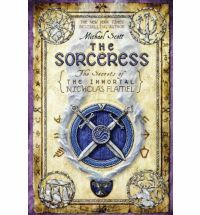 The pace doesn’t really let up in this the third installment of the Secrets of Nicholas Flamel. Mythical creatures come out of hiding to hunt down Nicholas and the twins so they must keep moving to stay alive and remain a step ahead of Dee. Scott whips us through modern day terrain blending in seemlessly the different mythologies and historical figures. (Seeing Shakespeare in this did bring a smile to my face). It is interesting to note that Scott’s characters are complex: one moment Sophie and Josh appear mature enough to handle what they’ve been thrown into, other times they are teenagers struggling to adjust to it all. Then there is Nicholas, who you think you should like, but with so many secrets you’re not sure you can. And somehow Perenelle, while trapped, still seems more of a threat. Where as some books appear to painstakingly create complex layers in an effort to draw you in, Scott seems to let bits of information leak out while flinging you into the action and expecting you to keep turning the pages just to keep up.